Kraft doesn’t want that spa video to be released. New England Patriots owner Robert Kraft is doing everything he can to keep his spa tape video out of the public’s hands. 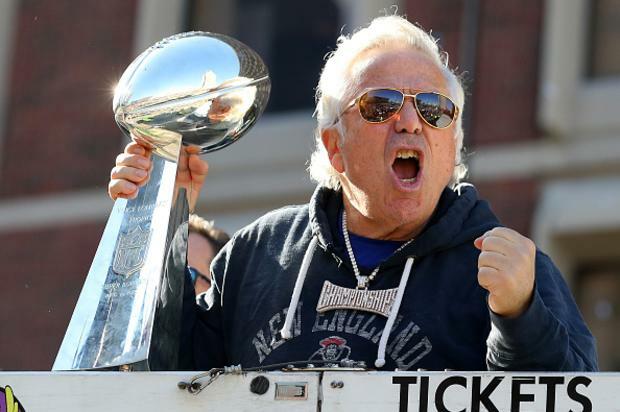 Deadspin reports that Kraft’s lawyers, William Burck and Alex Spiro, are targeting Florida’s public records laws, claiming that they violate the Fourth Amendment of the U.S. Constitution, which is designed to protect citizens from unlawful searches and seizures. In other words, Kraft contends that police had no right to record video inside the Orchids of Asia Day Spa. However, as Deadspin notes, Florida’s constitution strongly endorses public records, which includes police evidence and, therefore, the videos taken by Jupiter police inside the massage parlor. Kraft, who was recently spotted at a Boston Celtics playoff game, allegedly paid and received sexual acts at the Orchid of Asia Spa in Jupiter twice.